Mention her name in the world of Fencing and it is readily recognised. Imke is a world class fencer with a silver Olympic medal. She represented Germany at the 2004 Summer Olympics and won a silver medal in the épée fencing along with her teammates, Britta Heidemann and Claudia Bokel. Two years later in the 2006 World Fencing Championship, Imke won the bronze medal after beating Romania in the épée team event together with her team mates Claudia Bokel, Britta Heidemann and Marijana Markovic. 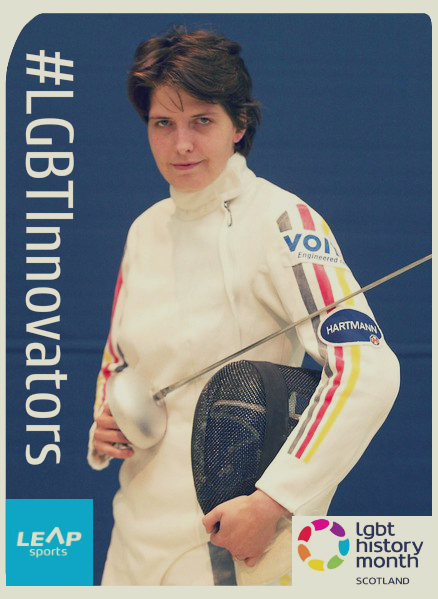 Imke is out lesbian and alongside fencing is known for her work speaking up for human rights in the sports world. She made it clear that she would boycott the Beijing opening ceremonies due to the Chinese actions in Tibet and Darfur. She was one of 40 athletes who signed an open letter to Chinese president Hu protesting human-rights violations in Tibet and Darfur. Written on 24th February 2016.